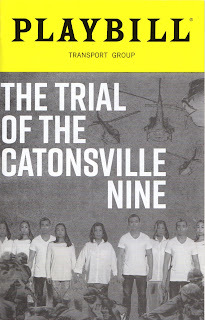 For my review of The Trial of the Catonsville Nine please click on THE BROADWAY BLOG. The following essay, on the play's context in 70s political theatre, is posted only here. In 1986, Greenwood Press published my book, Ten Seasons: New York Theatre in the Seventies. Below is a brief section from the book devoted to the political theatre of the decade. 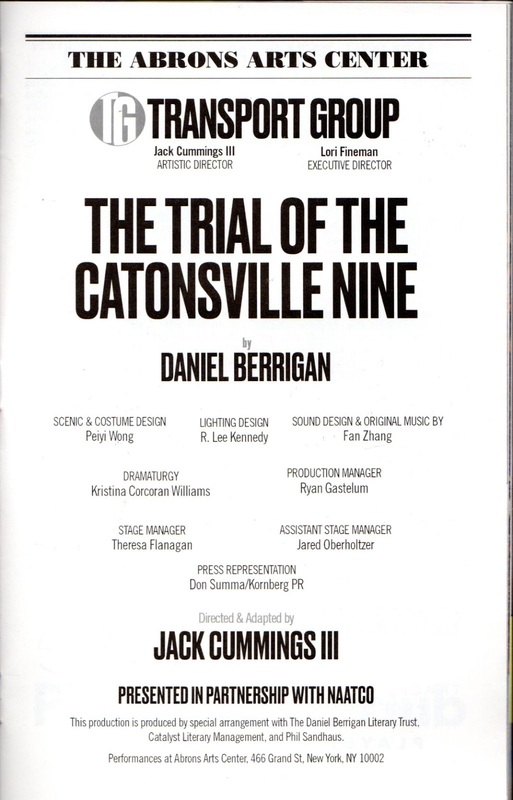 Some may find interesting its background on The Trial of the Catonsville Nine. 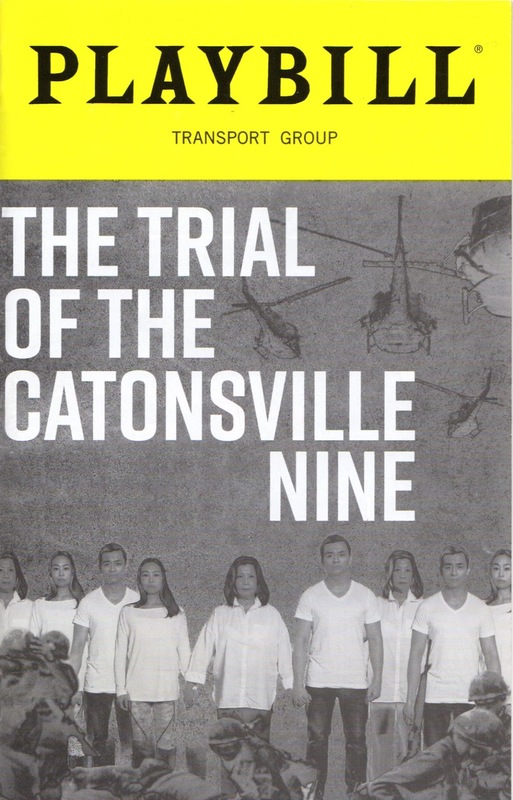 I've given the section a new title and have expanded the part about The Trial with material from a a book I was planning to add to my Encyclopedia of the New York Stage series before circumstances brought the project to an end. Because politics is so important in our lives and is so infrequently a source of satisfaction to the average man, it is customary in free societies to laugh at those officials and policies with which we disagree. Once more, recall the Greeks. Nevertheless, political satire was not especially noticeable on New York’s stages in the seventies, despite many issues that cried out for laugh-provoking criticism and comment. Various reasons for this have been advanced: the disturbing polarization of the nation in the wake of Vietnam; the possibility that the radical movements of the sixties and early seventies made political comedy redundant; the painfulness of the issues involved; a growing feeling of apathy and helplessness, and so on. Whatever the cause, political satire was not a fruitful mode for most of the decade. The single most potent image for satirists was that of former President Richard M. Nixon, who resigned from office in 1973. Of the seven or eight works that might be termed political satires, four were aimed at him, although the protagonist’s name was usually disguised. These were Gore Vidal’s An Evening with Richard Nixon and . . . , the musical The Selling of the President, Peter Ustinov’s Who’s Who in Hell, and Pop, a musical farce using King Lear as its premise. Other political satires were Rubbers and Dirty Linen, the first being a deflation of the New York State Assembly, the second of Britain’s Parliament. 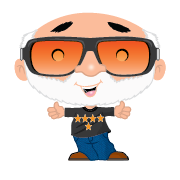 Political revues included Eric Bentley’s The Red, White and Black and What’s a Nice Country Like You Doing in a State Like This? Political concerns were present in many plays, but few were directly addressed to the immediate interests of the American people. Most were about foreign situations; the subject matter was usually of universal rather than topical significance. Of the few plays that did look at American issues, two dealt with the era of McCarthyism. One was Bentley’s docudrama, Are You Now or Have You Ever Been? Based on the hearings in the forties and fifties by a subcommittee of the House Un-American Activities Committee (HUAC) inquiring into the political beliefs of major show business figures. An interesting feature of the piece was the use of a series of star actresses to read a famous letter written by Lillian Hellman to the members of the subcommittee. HUAC was also treated in Gerhard Borris’s After the Rise with its obvious debt to Arthur Miller’s After the Fall. 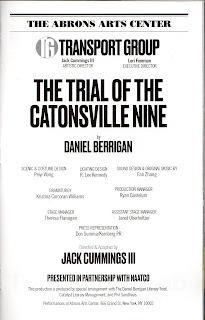 Probably the most controversial of the topical political plays was The Trial of the Catonsville Nine, a docudrama by Father Daniel Berrigan, S.J., one of the participants in the action. (Saul Levitt adapted the piece for the stage.) It is about the trial of Jesuit priests Daniel and Philip Berrigan and a group of seven other Catholic activists, two of them women, for having used napalm to destroy 378 draft files at Catonsville, Maryland, in 1968. It opened at the Good Shepherd Faith Church, adjacent to Lincoln Center, where it ran from February 7, 1971, to May 30, 1971, for 170 performances. It then moved for another 29 showings to Broadway’s Lyceum Theatre, from June 2 to June 26. Gordon Davidson directed. Its Off-Broadway cast of thirteen, each playing a single role, included such familiar actors as Ed Flanders, James Woods, Sam Waterston, Richard Jordan, and William Schallert, with well-known names like Biff McGuire, Michael Moriarty, Josef Sommer, and Mason Adams joining the Broadway cast as replacements. The semi-documentary play, staged in a simulacrum of a courthouse setting and performed in Theatre of Fact style, was edited from the actual trial transcripts. It was viewed as a plea for the necessity of civil disobedience as an act of Christian faith. Many legal and social issues were raised by its attack on contemporary American values and governmental policies, while it also managed to jab sharply at the Catholic Church. It was the author’s contention that drama’s purpose is to have a moral impact in the light of world problems. He condemned theatre that exists only to pass the time and make money. During the period when the play was in production, all the defendants were in jail, sentenced to two to three and a half years. Following his sentencing, Daniel Berrigan became a fugitive from the law. He was on the verge of being arrested at Cornell University when he enlisted the aid of the Bread and Puppet Theatre, who were appearing there. Hiding himself in the framework of one of their huge puppets, he managed to escape in a van but was eventually captured and sent to federal prison. Plays about political problems pertinent to blacks and women have been discussed in earlier sections [of this book]. We have seen that politics was not a major enticement for playwrights dealing with these groups. Other political topics touched on by American playwrights were the problems of labor leaders, campaigning for office, the foibles and achievements of past residents of the White House, political skulduggery in a governor’s office, upper-class Cuban attitudes toward Castro, and Japanese-American relations in the nineteenth century. Many of the decade’s foreign political plays have been previously described in the book. They include plays about South African racism, a plot to kill Congolese leader Patrice Lumumba, colonialism in Africa, the Irish troubles, fascism, terrorism, and East European dissidents.